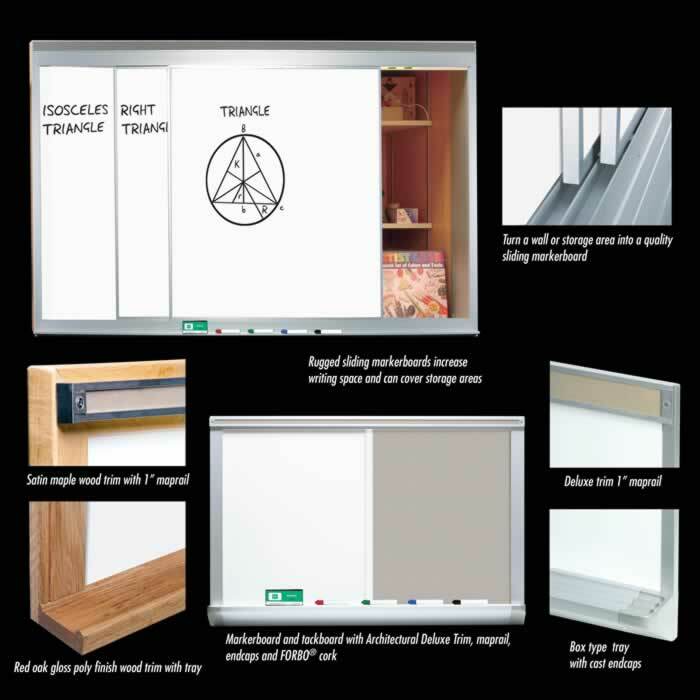 Our Architectural Series offers top-of-the-line boards for architecturally spec'd products. Choose from dozens of customized configurations including FORBO® tackboards, fire-rated stock, satin maple and red oak poly finish wood trim, satin anodized aluminum, floor-to-ceiling tackboards and sliding markerboards. Check out our online catalog.